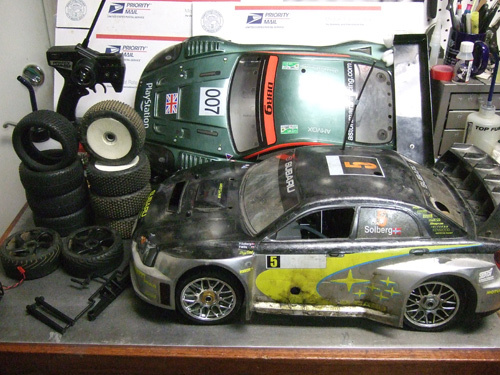 After trying to sell my HPI Micro RS4 on ebay and then on RC Universe I finally got an offer that came through. This first time I tried to sell the micro RS4 on ebay, some local buyer won the auction and wanted to pick it up in person. To make long story short, he never met up with me to finish the transaction. Then I posted an ad on RCU, I got a few offer for trades but everyone never followed through. So, months later I decided to re post my ad on RCU again. 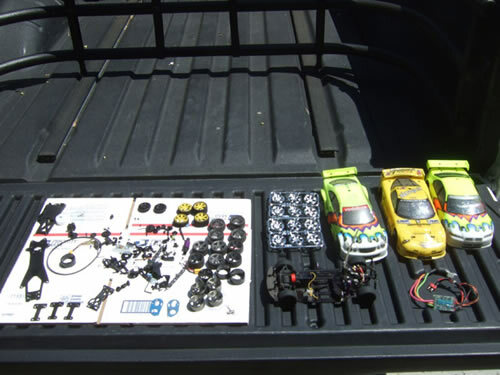 Like always I got a few offer, and one guy really got my attention with his offer for a Kyosho Inferno GT. After a few days of emailing each other pictures of our cars and etc we came to an agreement to make the trade. A week after I mailed out my car I got the Inferno GT in the mail. 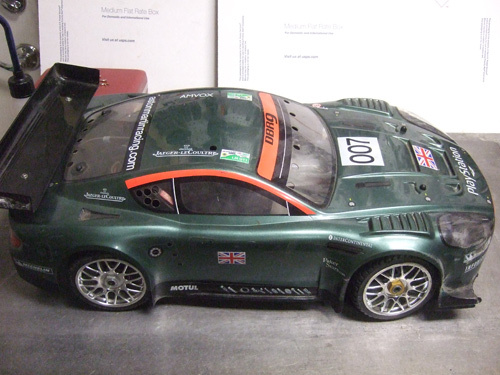 Here is the other body i got, Aston Martin WRC. The front bumper area is a little tore up. 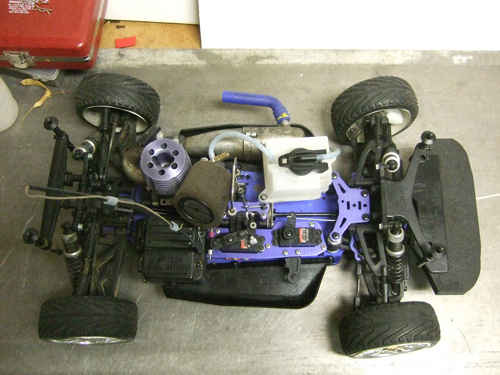 The inferno gt with out the body on. 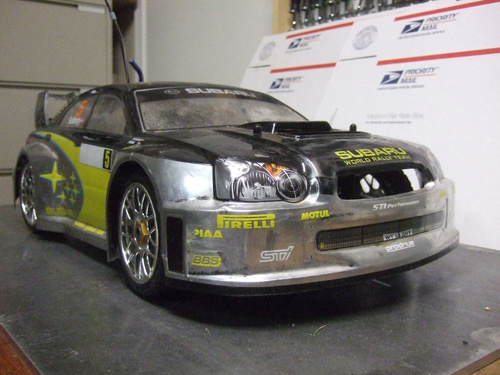 it looks pretty much like any 1/8 buggy with road tires. 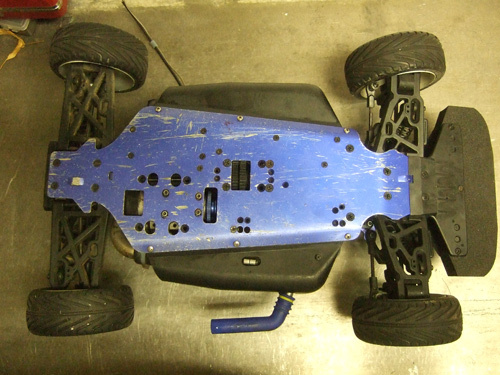 For the looks of the bottom of the chassis, he did not drive this car too much. 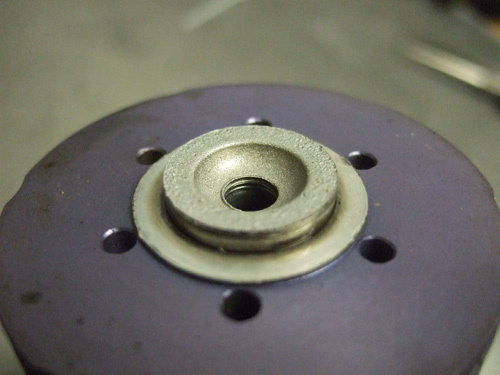 Here is the stripped glow plug hole he told me about. So i can either buy an aftermarket Nova head that cost about $40 shipped, or buy a new engine.